I introduce you a White Tiger, NAMASTE, in my blog of Panaewa Rain Forest Zoo (Ravel=Town) . 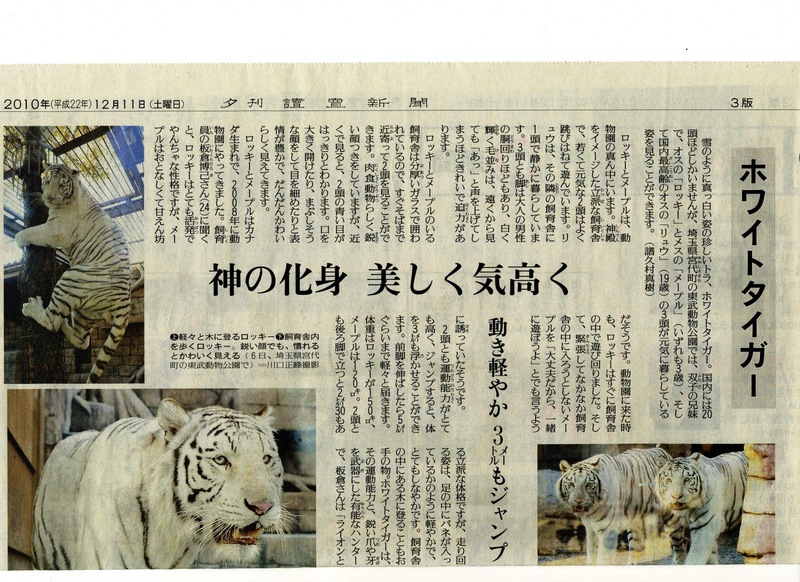 Japanese news paper, Yomiuri, one of the biggest news paper in Japan, carried an article about White Tiger in details, so I introduce them. 1.There are only 200 in the whole world. (20 head in Japan) No wild one is found for the last 60 years. 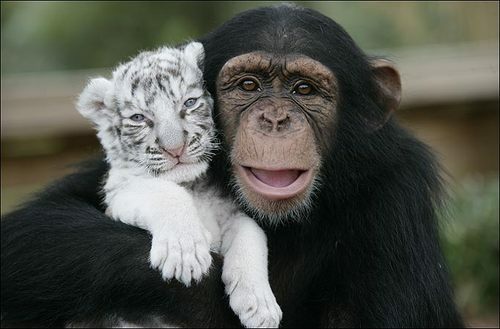 2.They are the kind of Bengal Tiger and shortage of pigment decolorize yellow color to white. 3.Life span is about 20 years. We have to introduce bride( bridegroom) to Namaste quickly. 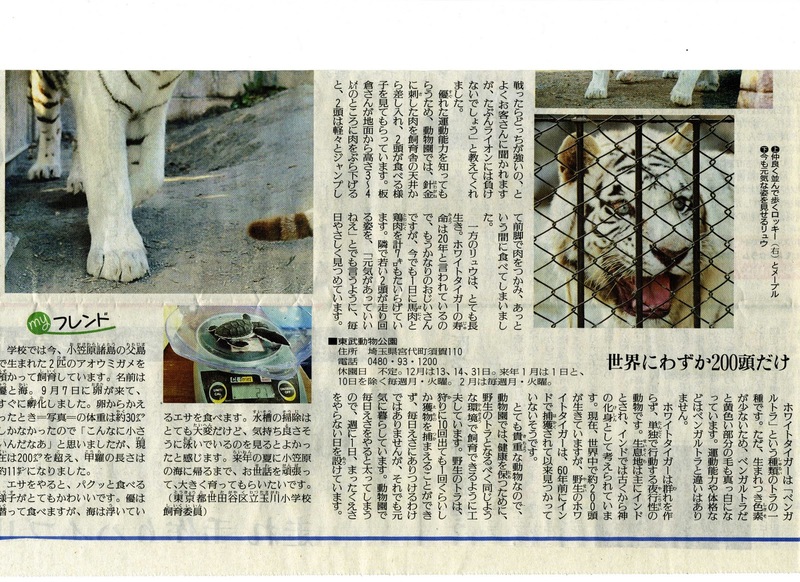 4.Wild tiger cannot get food every day, so this zoo fast them once a week to prevent fat. 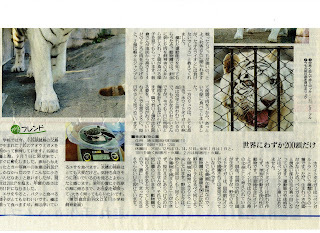 5.Reporter said it may be stronger than lion. My cousin sent me this photo.